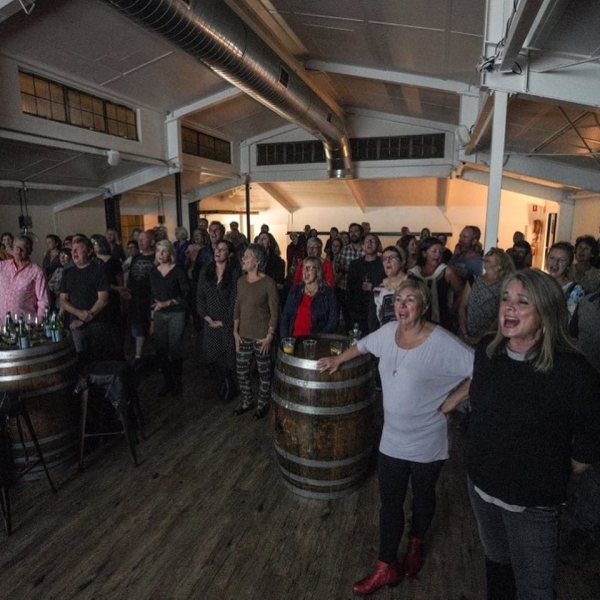 Sound Crowd is a community choir event held in The Brewery at The Imperial Hotel Eumundi. Organisers are excited to announce that the next event will be an ALL AGES affair, scheduled for Sunday 26 August from 3 - 5pm. Director Analiese Long explains that Sound Crowd is an event where you, the audience, become the choir for the afternoon. “Our contemporary choir gives everyone a chance to sing well-known, well-loved songs, and we’re very much looking forward to the August event where singers of all ages will be welcome to take part”. "And rest assured, there are no auditions and there is no preparation required by choristers before the Sound Crowd events. Your guides will teach you the notes and the harmonies and provide the musical accompaniment, with the lyrics projected on a big screen,” she says. "Whether you sing high, low or just like to belt out the melody, we will make groups and learn parts together," Analiese says. The cost is only $10pp - payable at the door, and as August is our first ALL AGES event, there'll also be a Family Pass for just $25. The Family Pass is for a max of 2 adults and up to 4 kids. Minors must be accompanied by an adult. Doors to The Brewery will open at 2.30pm, with the singing commencing at 3pm.